The 2018 Fort Lauderdale boat show starts tomorrow October 31, 2018 and runs thru November 4, 2018. 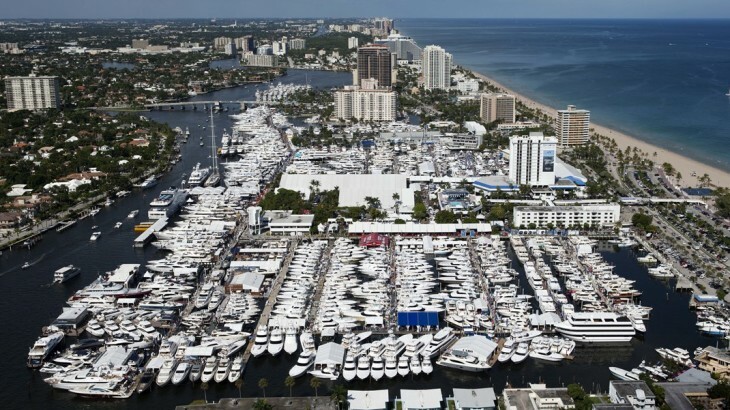 This will be the 58th Annual Fort Lauderdale Boat Show. Ft. Lauderdale is considered the “Yachting Capital of the World” and is the most prestigious place in the United States for a boat show. 1,000’s of boats will be on display in water from small skiffs to 196′ mega yachts. While we will not be at the show due to distance many of the brands we represent here at Gregg Orr Marine Destin will be on display including Regulator Marine Blue Water Center Consoles, Southport Center Consoles, Century Center Consoles, and Sea Born Hybrid and Bay Boats. More information can be found online at the show website here. Enjoy the show and give us a call after the show! View our entire inventory online here.